If you have previously struggled to lose weight, or to keep it off using conventional dieting, you may have considered having a surgical gastric band fitted. Such invasive surgery should be considered as a very last resort, and you should not make the decision lightly, without previously having exhausted every other avenue. Before you make an informed decision, it’s vital that first, you make yourself aware of the dangers that come with the fitting of a surgical gastric band. The procedure itself can lead to infection, blood clots and deep vein thrombosis (DVT) as well as internal bleeding. But what about the long term effects? To make this a little easier, we have put together a list of four of the main, most common problems that can occur later on. Quite often after gastric band surgery, the band itself can slip out of place. This can cause vomiting and heartburn as well as increasing the size of the stomach so your weight loss potential may be reduced or even become ineffective. Another surgical operation is the only way to fix this mishap, creating more risk for even more money. A staggering one in twelve people who undergo gastric band surgery develop gallstones in the following months. These are little stones made up of cholesterol, that can irritate the gallbladder causing intense stomach pain, sickness and jaundice. Affecting a huge one in five people who have a surgical gastric band, stomal stenosis is when the hole that connects the stomach to the small intestine is narrowed by surgery and can become blocked simply by a piece of food. It can cause a lot of vomiting and the only way to clear this is using a balloon on an endoscope – not a very pleasant experience! Whilst gastric band surgery can help you to lose weight, it cannot make your excess skin revert back to how it once was and become firm again. This may leave you with rolls of extra, unwanted skin. Whilst this really don’t look very nice, they are also vulnerable to rashes and infections. Excess skin will require further cosmetic surgery to remove which can be painful and expensive. If you, understandably, decide that gastric band surgery isn’t for you, or perhaps it is too soon, it is not time to give up on the idea of sustainable weight loss. 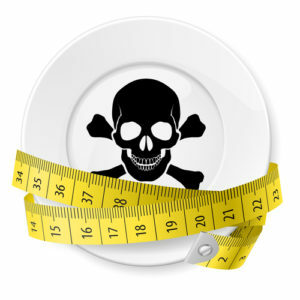 For something effective, as well as extremely healthy, consider having a virtual gastric band. The virtual gastric band uses a mixture of cognitive behavioural therapy, in depth personal discussion and hypnotherapy to train your body to think it has a real gastric band fitted. This allows you to change your eating habits for life, for a healthier, happier you, without the vast expense or risk involved in actual surgery. 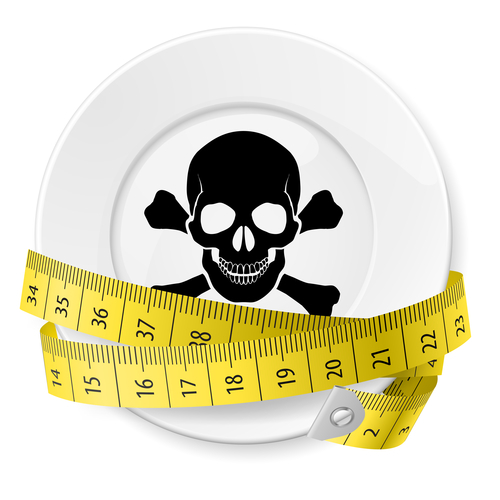 If you think this could be a good alternative for you, find out more about Gastric Mind Band by downloading our free guide How You Can Smash Your Weight Loss Goals Without Crash Dieting. 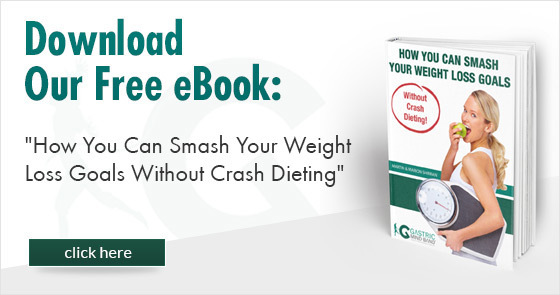 Simply click the image below to download your copy today for healthy, risk free weight loss alternatives! For more information about the virtual gastric band, take a look at the Gastric Mind Band website here.